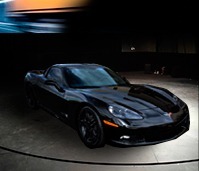 Corvette Modifications, Parts and Accessories Made Easy! In the 65 years that it’s been in production, the Chevrolet Corvette has established a reputation as the definitive classic American sports car. 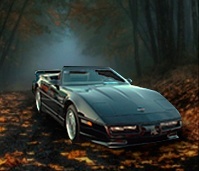 General Motors has been constantly innovating during these decades to give the Corvette superb styling, segment-leading engines, and thrilling handling that have contributed to its enduring reputation. At Corvette Mods, we’re dedicated to catering to the loyal followers of the iconic Corvette. We stock thousands of Corvette parts and accessories at our 16000 square foot facility in Fort Worth, Texas. Every day, we ship out hundreds of packages around the nation and the world. So, we’re sure you’ll find something to improve your enjoyment of your Corvette through us. Just use the convenient search box above or leisurely browse through our pages to get an idea of what we offer. If you can’t find it, feel free to call and our experienced staff will help you find it or offer advice that can save you time and money. Sometimes, we can find parts and accessories for you that we don’t list. If you happen to be in or near Dallas-Fort Worth, feel free to stop by for a visit. Through the years, from the first C1 1953-1962 Corvette to the C7 2014-2019 Stingray of today, every model has been improved from the previous design. 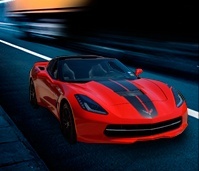 As a result, the Corvette has become lighter, stronger, faster, safer, more efficient, and more reliable. That’s not to say the original wasn’t these things, it’s still a sleek and attractive car, but today’s Corvette is the epitome of modern automotive engineering. From the C2 to the current C7, Corvette Mods has what you want; whether you need a seat cover for your C3, a car cover for your C4, or a complete aero package for your C7. 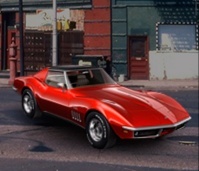 Corvette Mods is all about Corvettes, its accessories, and parts so you can make your classic Corvette look new or your new Corvette look stunning. We’re an All-American Corvette parts and accessories dealer located in Fort Worth and we are members of both the National Corvette Club Council and SEMA. 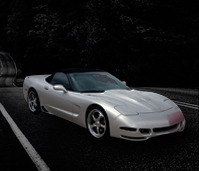 Whether you’re looking for Corvette parts to turn heads at car shows or on the street, or you’re simply searching for high quality parts to maintain or restore your Corvette, you’ll find what you’re looking for at Corvette Mods. We have fair prices and direct-to-you shipping.